Make sure you’re covered in case it gets lost or stolen for just £12.00 per pass! Tick the ‘Pass protection’ box when you check out. Japan is a truly unique country; a nation built on thousands of years of tradition, and defined in the modern age by its cutting-edge technology, high fashion and world-class cuisine. When you travel to western Japan with a Japan Rail West Kansai Hiroshima Pass you can spend five days enjoying the quiet beauty of tranquil Kyoto, soaking up the culture in buzzing Osaka, wandering through the floating shrines of Miyajima, and paying your respects at the historic war monuments of Hiroshima. The Japan Rail West Kansai Hiroshima Pass is valid for 5 days of continuous travel, and offers transport between a number of cities and towns, including Hiroshima, Onomichi, Fuchu, Okayama, Himeji, Kobe, Osaka, Kyoto and Nara. When booking, bear in mind that this pass is typically only available to temporary visitors to Japan. If you think you might require a different type of pass, or if you would like to book individual journeys for specific dates and destinations, visit our Rail Passes or Rail Tickets page. Once you have this pass, you can use it to travel on a number of train services in the Kansai-Hiroshima region. Included in the pass is the Sanyo Shinkansen Bullet Train between Shin-Osaka and Hiroshima. You can travel on a number of express trains, special rapid services, rapid services and local trains. Also included is the JR West Miyajima ferry, which offers transport to Miyajima Island and its spectacular floating shrines. So who is eligible for a Japan Rail Pass? You're eligible if you are a foreign tourist visiting Japan from abroad for sight-seeing, under the entry status of "Temporary Visitor". "Temporary Visitor"entry status, according to Japanese Immigration Law, allows a stay in Japan of 15 days or 90 days for "sight-seeing, etc." If you apply for a "stay for sight-seeing" when you enter Japan, entry personnel will stamp your passport as "Temporary Visitor," as shownhere. Only people who have a passport bearing this stamp can use a Japan Rail Pass. IMPORTANT:Even if you visit Japan with an Exchange Order, to be turned in for aJapan Rail Pass, the exchange cannot be made unless you have"Temporary Visitor"status: if you enter Japan under any other official status, such as "Trainee," "Entertainer," or "Reentry Permit," you cannot change the Exchange Order for a Japan Rail Pass. Please note that according to strict interpretation of the Japanese Immigration Law,"Temporary Visitor"status differs even from other types of stays that are also for only short time periods. Note: A JR West Rail Pass cannot be issued to a Japanese resident. This pass is limited to use only by the registered person. It cannot be turned over to another person. You are required to carry your passport at all times while using the rail pass. It can only be refunded at the exchange location prior to the starting date of use. For all refunds within Japan, a processing fee of 15% is deducted from the yen value of each pass. If the amount to be refunded is 210 yen or less however, a minimum fee of 210 yen will be charged. No refund is possible on or after the start date of the pass. Any alterations to the exchange order or rail pass render the pass invalid and as such the pass becomes non-refundable. Exchange Orders can be refunded by the issuing office, up to one year from issue date. All refunds are subject to a 15% cancellation charge and a small admin fee will be charged in addition to this. 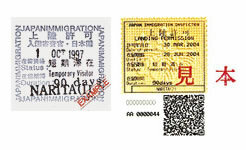 Duplicate exchange orders and rail passes cannot be issued if lost or stolen. Persons who have a passport issued by a government or other authority outside Japan, as well as customers who have come to Japan with 'Temporary Visitor' residence status (15-day period of stay). However, persons from countries with visa exemptions such as the USA, Canada, Germany, France, Italy, Holland, Switzerland, Sweden and New Zealand can buy the pass even with a 90-day period of stay in Japan. A JR West Rail Pass cannot be issued to a Japanese resident.